This Handbook is a summary, a condensed version of the individual 64 I Ching Hexagram Handbooks. 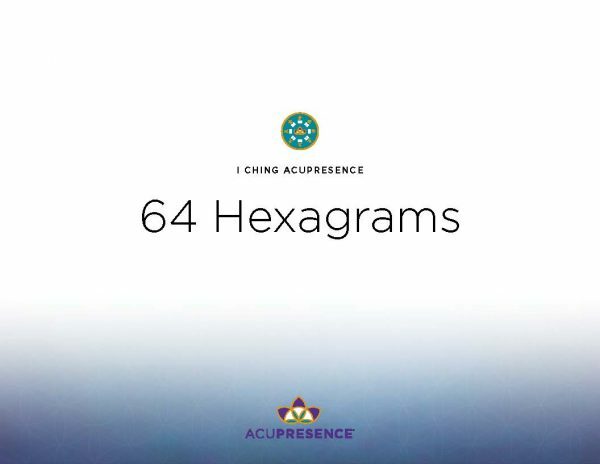 It delivers the overview keynotes of each of the 64 Hexagrams and their 6 associated Acupoint Synopsis Pages. I Ching AcuPresence® offers 64 eBook Publications. 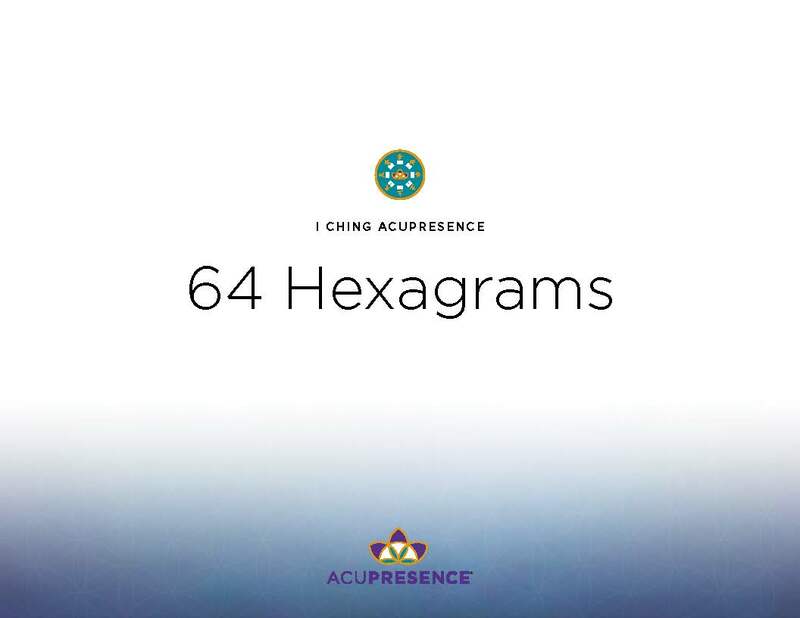 Each I Ching AcuPresence Protocol delivers comprehensive overviews of the hexagram as well as its corresponding set of 6 associated acupoints. These overview keynotes are given through the lenses of the three esoteric sciences of the I Ching, Gene Keys and Human Design.